When it comes to floral and wedding design, Emily Anderson of Edmonds-based Lola Creative likes to look for “designs in couples.” It’s a beautiful concept, isn’t it? Flowers can narrate the love story of two people—from the days of picking petals (he loves me…he loves me not…) to the blooms that embellish the day the duo says “yes” to forever. During Lola's upcoming workshop, couples (or solos) can learn to craft their own romantic, cascading floral arrangements for their special (or any) day. Focusing on structural technique, contrast, and other design principles, the Gardenesque Bouquet workshop will be held on March 28 from 10 a.m. to 12:30 p.m. The class is one of many upcoming events from Lola Creative. “We’re trying to expand our offerings into more education and content. We want to become a resource for people who are wanting to design something in their own lives, or start a business,” Anderson, president and creative director, told us. Future class topics include one on Romatic Compote Centerpieces on May 7, and Advanced Design with Sustainable Methods on April 9. 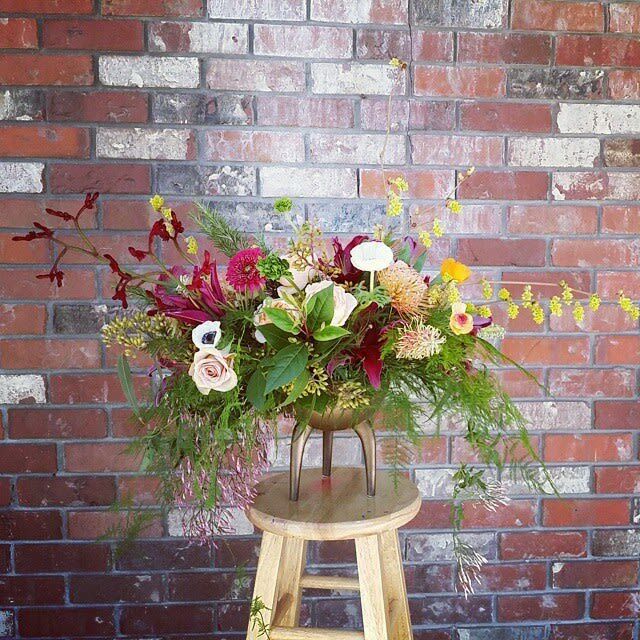 To buy tickets for any of the upcoming floral workshops, visit Lola Creative’s EventBrite page.